Breen critically examines the arguments put forward by those for whom ethical considerations either do not play or should not play a role in modern politics. Breen challenges three distinct claims to the effect that the demand for meaningful work, grounded upon an ethical ideal of such work as partly constitutive of a good human life, is either not a significant, a feasible, or an acceptable concern of public policy in liberal capitalist societies. 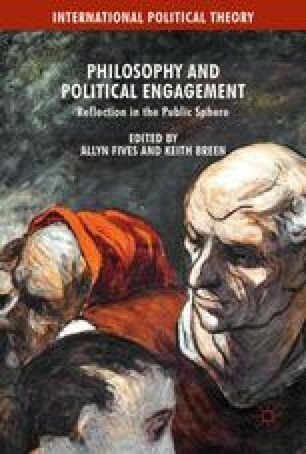 Based on a detailed examination of the work of Jürgen Habermas, Will Kymlicka, and Alasdair MacIntyre, among others, as well as a thorough analysis of the possibilities for meaningful work in modern economic contexts, Breen provides a timely analysis of the place of ethics in both politics and philosophy. Hauser, R. M., & Roan, C. L. (2007). Work complexity and cognitive functioning at midlife. CDE Working Paper No. 2007–08. Retrieved July 20, 2015, from http://www.ssc.wisc.edu/cde/cdewp/2007-08.pdf. International Labor Organization (ILO). (2015). Decent work agenda. Retrieved July 20, 2015, from http://www.ilo.org/global/about-the-ilo/decent-work-agenda/lang--en/index.htm.